I live a pretty average day-to-day college life, and getting anywhere interesting from this campus requires planning and energy. My classes are going well; I’m still the class monitor this semester. I finally learned to ride a bike, which has made my life significantly easier. I’m in the student orchestra and go to English Corner regularly. My friend from Brazil started teaching me Portuguese, which is definitely one of the last things I expected to learn by coming to China. A German guy opened a restaurant just off campus and makes good pizza, including Nutella pizza and sometimes even Nutella sandwiches, and my friends and I go there regularly. 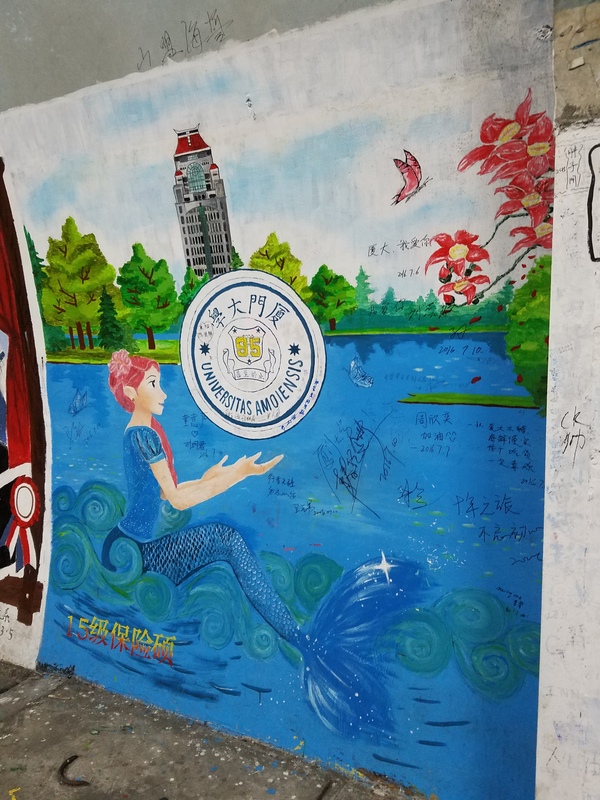 I joined the translation team for Humans of XMU (人在厦大), which is styled after Humans of New York but features members of the Xiamen University community. And I mean other than that, life is pretty much the same every day. So instead of rambling about all that, I’ll catch you up on how I’ve spent some of my holidays here. First, Chinese New Year, also called Spring Festival (春节). This is China’s biggest traditional holiday, and this year it fell on January 27 (Spring Festival Eve) and 28. We were given about a month off, from January 14 until February 12. 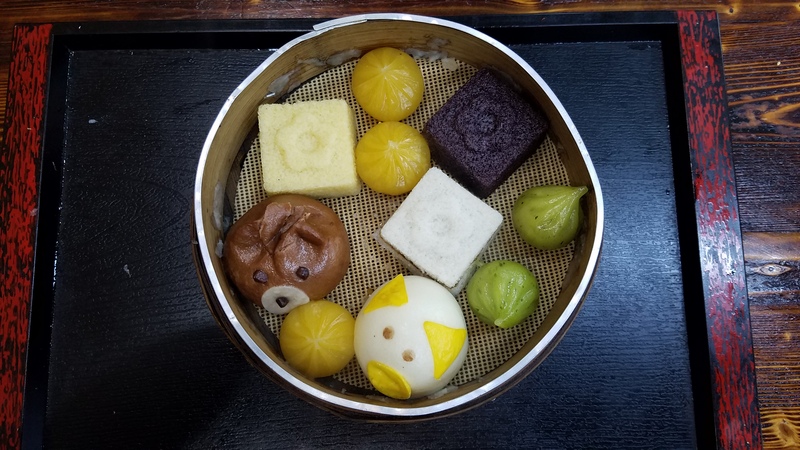 I spent the first five days or so travelling to Hangzhou and Shanghai with a friend. In Hangzhou, we visited Hefang Street, the West Lake, the Chinese Silk Museum, and Leifeng Pagoda. 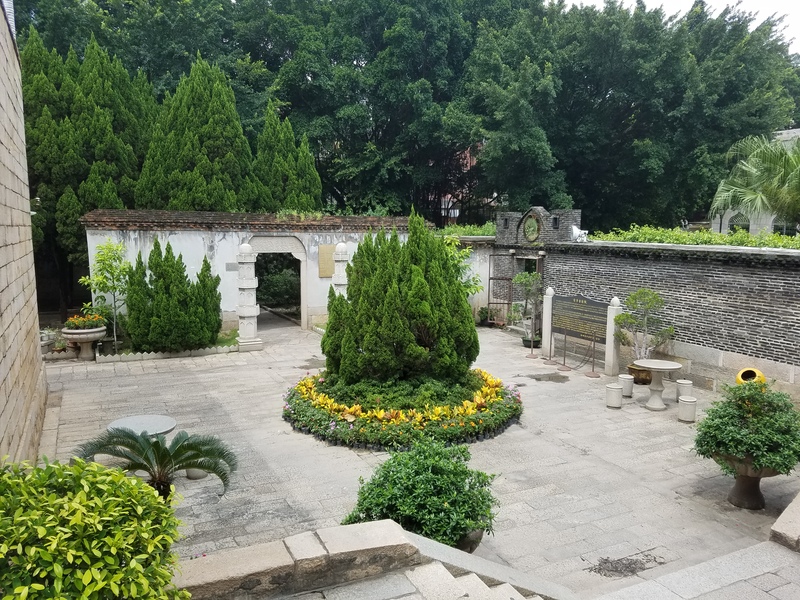 I really loved Hangzhou – It was clean and beautiful, and the drivers there seemed to stop for pedestrians more often than in other cities I’ve been to. Our hostel was also quite nice; it was clean, the location was convenient, and they even had a cat! I’d really like to get back to Hangzhou and have more time to explore there. 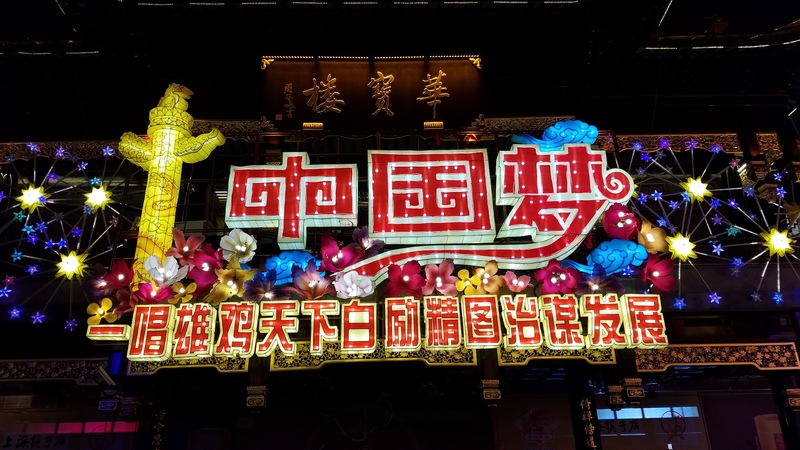 In Shanghai we mostly went to places I’d already been before – Nanjing Road, the Bund, Chenghuang Miao, etc. – but we also had the chance to check out the Propaganda Poster Museum, which I’d heard of before but had never gone to. It’s super weird in the sense that it’s located in the basement of a building in an apartment complex… When you get there the gate guard gives you a little card with directions to the correct building, but you still question whether or not you’re in the right place until you actually get there. But the exhibition itself is really interesting, and they even have a little gift shop with prints, t-shirts, postcards, etc. of some of the posters. After my friend went back to the US, I relocated to my Chinese friend’s house to spend the remainder of my break there. That friend herself was busy studying abroad, but she and her parents very graciously allowed me to stay there in her room. 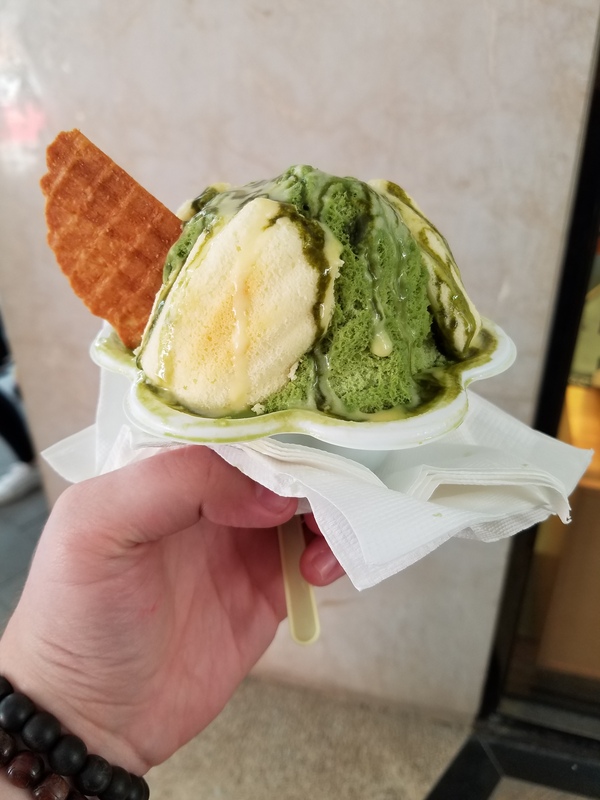 While her parents were at work, I was free to either stay in or go out as I pleased, so I did some shopping, spent an inordinate amount of money on food, and met up with a few friends. 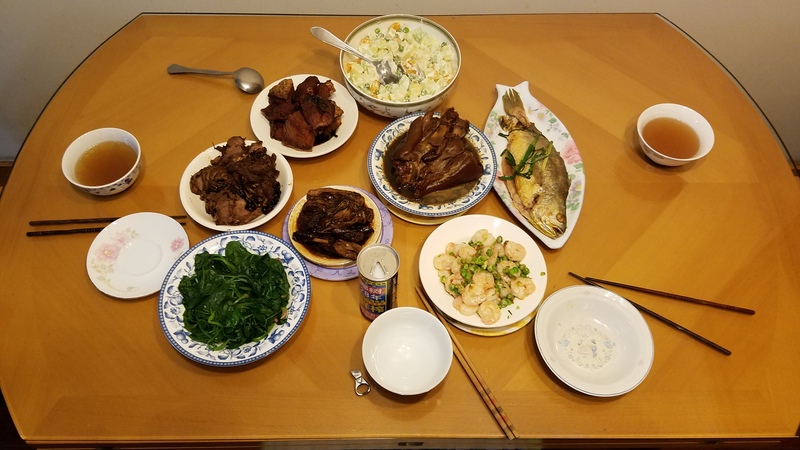 For the Spring Festival holiday, my friend’s parents had a week off. We made dumplings and ate a bunch of food for Spring Festival Eve, and then we watched the Spring Festival Gala (春晚) on TV. Though my friend’s parents went to bed shortly after midnight, it was my first time ever watching it, so I stayed glued to the TV and watched all five hours, from 8pm until almost 1am. While they had time off, my friend’s parents also took me travelling to the nearby cities of Nanjing and Yangzhou. 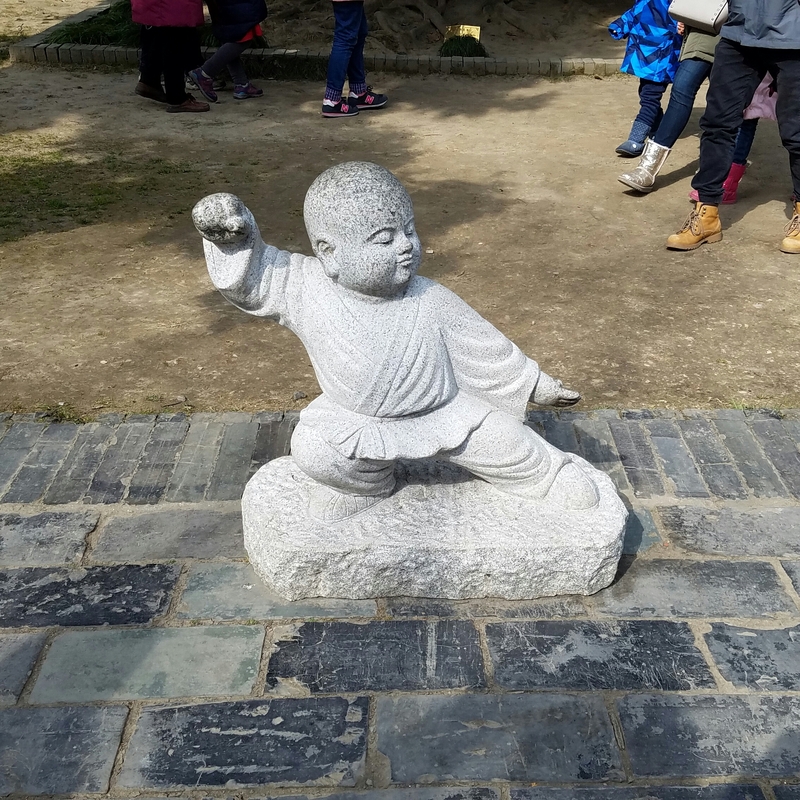 In Nanjing, we visited the Ming Tombs (明孝陵), Zhan Garden (瞻园), and market at the Confucius Temple (夫子庙). 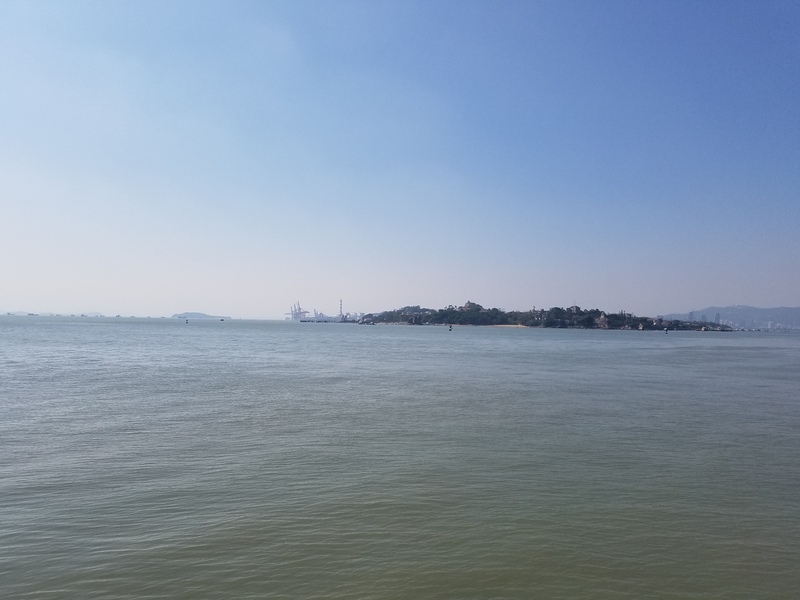 In Yangzhou, we visited the Slender West Lake (瘦西湖). The second traditional holiday I had the chance to celebrate was the Tomb-Sweeping Festival, or Qingming Festival (清明节). I was very fortunate to have a friend from English Corner invite me to spend the day (April 4) with his family. We began the day at his uncle’s house, where we had lunch that included spring rolls, which are a traditional food in Xiamen for this holiday. After lunch, we went to a local temple-like cemetery, where they paid their respects to their ancestors and burned paper money for them to use in the after-life. Finally, I went with my friend and his dad for a walk in the park and to eat dinner at a hotpot restaurant before going back to school. Yes, I’m alive! I apologize for not posting sooner! According to my day-counter app, I’ve been here for approximately one month, and in that time, I’ve been pretty busy during normal weeks and spent most of the one holiday week we had with no internet (until my kind neighbor heard of my plight and was nice enough to share hers! )… So I’ll try to just give a run-down of my life so far without making this post too long. 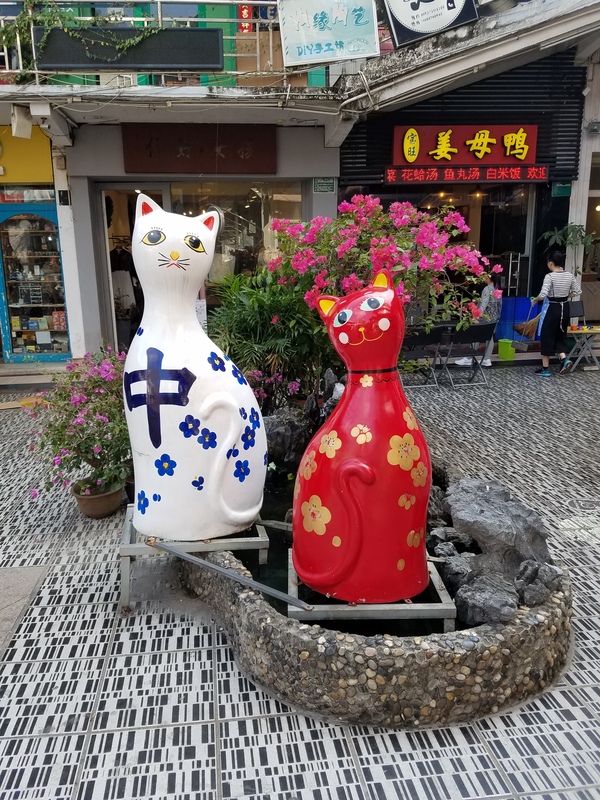 I am in the upper-intermediate level and take 4 classes: listening, speaking, a general class that covers a little of everything (“综合 zonghe,” or “comprehensive”), and a training class for level 5 of the HSK (Chinese Proficiency Test). I have an 8am class once a week – on Tuesdays – but no classes on Fridays! The listening class is mostly too easy for me, so it’s kind of boring, but my other classes are just right. Unlike in the US, I take all my classes here with the same group of classmates. I’m the only American, but the other students come from around the world: Indonesia, Thailand, Poland, Russia, Uzbekistan, and Japan, to name just a few. There are 28 of us in my class, and we have 3 class “monitors” (班长 banzhang in Chinese) – I’m one of them, along with the guy from the UK and the guy from Argentina. (We were only supposed to have 2 monitors, but the two guys tied, so we decided to just have 3 instead of doing a tiebreaker.) Being a class monitor isn’t a huge responsibility; it basically means that if the teacher or a classmate needs help with something, they can ask us to help. For example, my zonghe teacher asked me to collect homework while she went back to her office to get something she forgot. As far as new friends go, it’s been fairly easy to meet other international students, but meeting Chinese students is surprisingly difficult, considering I’m IN CHINA. 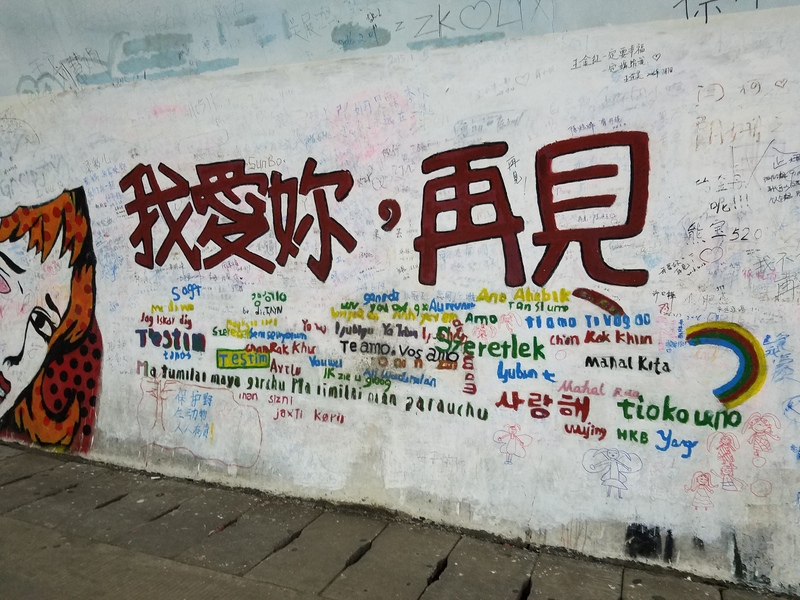 All the international students, or those of us here for the language program, at least, live together and have class together – We have no Chinese roommates or classmates. 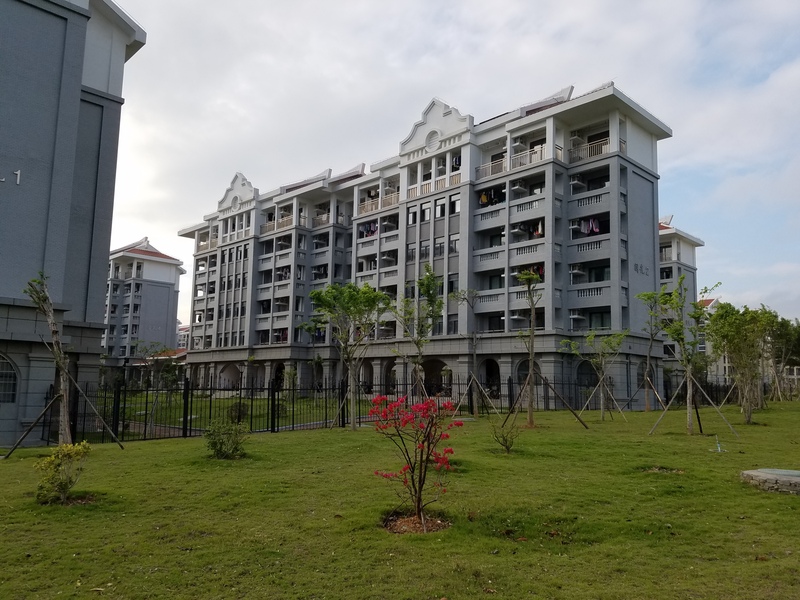 This being a fairly new satellite campus, there aren’t many clubs, and it can be difficult to understand what exactly the ones that DO exist are, since everything is (obviously) in Chinese. But I’ve been told that I’ll be assigned a language partner (though I don’t know exactly when), and I did meet a Chinese girl named Zero who had to interview some foreign students, so hopefully these will become opportunities for me to make more Chinese friends! In the meantime, hanging out with other international students is great, too! I regularly sit next to a girl from Indonesia in class; I’ve been out to dinner with the Polish girls from my class; and I like to play board games or go out shopping with the other girl here from UD and our two friends from Costa Rica and the Philippines. Overall, life is pretty good now that I’ve settled in. I have a basic routine and a good-enough understanding of how to accomplish all the necessary tasks, such as moving money from my bank account to my student card. If there’s one thing I haven’t completely adjusted to yet, it’s the food. I can’t identify enough of it to have a good variety, so I’m already getting tired of it. I eat noodle soup a lot because I have control over what gets put in it, but I eat it so much that the noodle guy recognizes me and remembers what I like… But I can’t say I’m surprised that this seems to be my biggest problem so far. After spending much of my summer on the other campus eating the same one type of pork (which is unfortunately not offered as frequently on this campus) at every meal, I anticipated that this would be my most persistent issue. Luckily, breakfast is good! That’s what everybody keeps telling me, anyway. You see, as you may or may not already know, I’m finally getting my year in China. I’ll be attending Xiamen University from September 2016 to July 2017, studying Chinese on a full scholarship from the Confucius Institute. 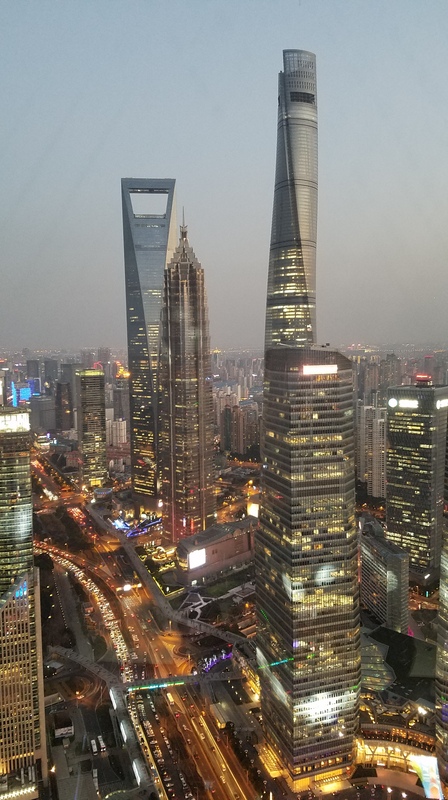 This is pretty exciting for me, as I’ve wanted to spend a year studying in China since the fall of 2012, after I returned from my summer NSLI-Y program. So I applied for a year with NSLI-Y, but I was rejected. Finally, four years later, my dream is a reality. But not without copious amounts of stress and worry in order to get there. The first problems occurred a few months ago, as my application got continually returned for this and that. All perfectly legitimate reasons, for sure (I hadn’t included my middle name; they couldn’t open a document I had attached; etc. ), but it got returned so many times that it really left me wondering why they couldn’t have just checked all those things at one time, sent it back once for me to fix it all together, and saved everyone some time. Luckily, the director and other teachers at my Confucius Institute are super awesome and were able to help speed things up so that I could have an answer before I had to leave for my summer trip. Honestly, probably the most frustrating part of all that was that most people looking to study abroad through other programs had their acceptances so much earlier, and they were already preparing to go while I was still fighting with my application. So I went off to China for the summer, bought my plane tickets to return for the year, came home, re-packed, and now I’m getting ready to turn around and hop happily on another plane, right? 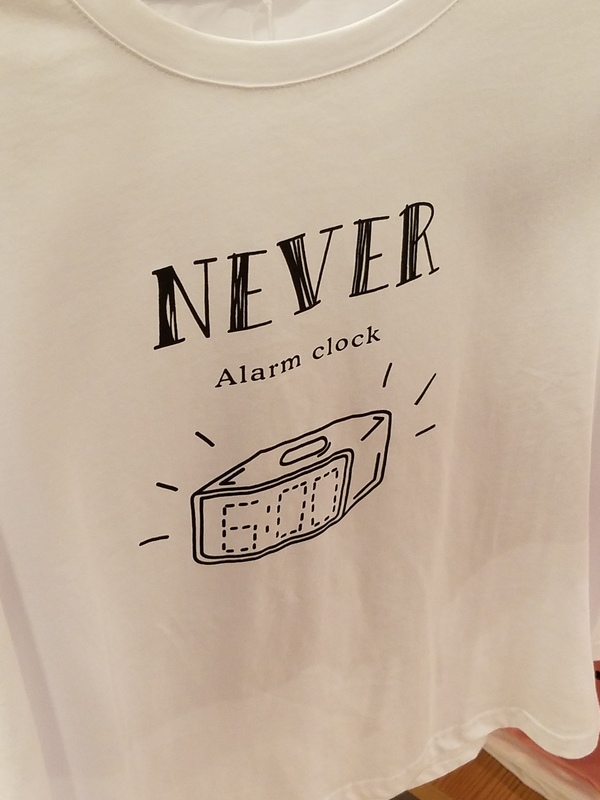 Well, not exactly. I was supposed to leave the US the morning of September 7 and arrive in Xiamen the evening of September 8 to be early for registration on September 10. But now I won’t leave until September 19. As my “fabulous” luck would have it, the package with my passport and all my visa application documents was lost on the way to a visa company in Washington, DC. And no matter how hard the post office looked (and they did look hard), they couldn’t find it. 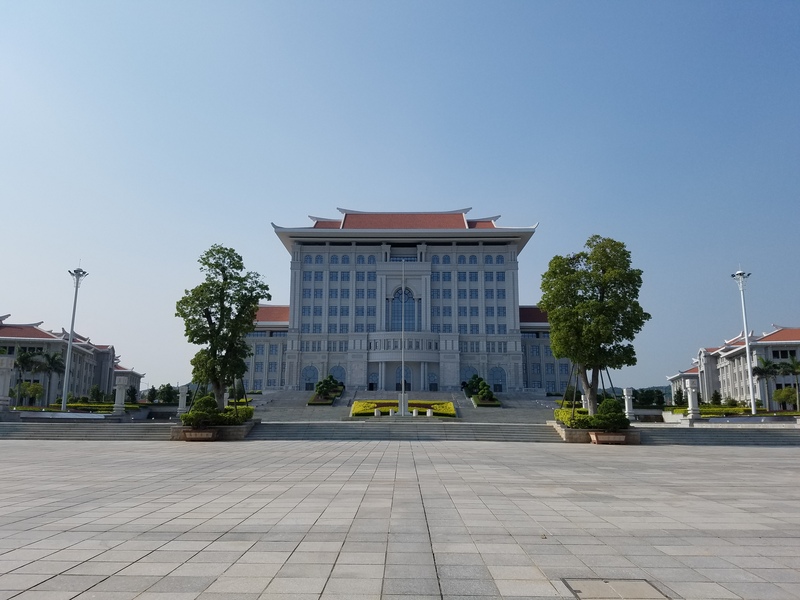 That meant that I first had to replace my passport, then I had to send my new passport number to Xiamen University and have them mail me new originals of my admission documents so that I can use them to apply for my visa. Well, my passport is replaced and the documents are on their way. When I checked the tracking this morning, it said they had reached Los Angeles, which is a good start. In the meantime, I’ve pushed my departure date back to Monday, September 19, which is within the two-week grace period they allow for pre-approved late arrivals, and I’ve already sent an email to notify the university of the situation. So in the end, I’m ecstatic that I’ll still be able to go, but I’m also kind of upset that I won’t be able to arrive on time. Move-in day and that first week that I’ll be missing will undoubtedly be full of all the best chances to meet people, and I worry that the later I show up, the harder it will be to make friends. I mean, I’ll have a roommate and some suite-mates, so hopefully that will help. But it’s definitely a disappointing way to start off what is supposed to be a really amazing experience. 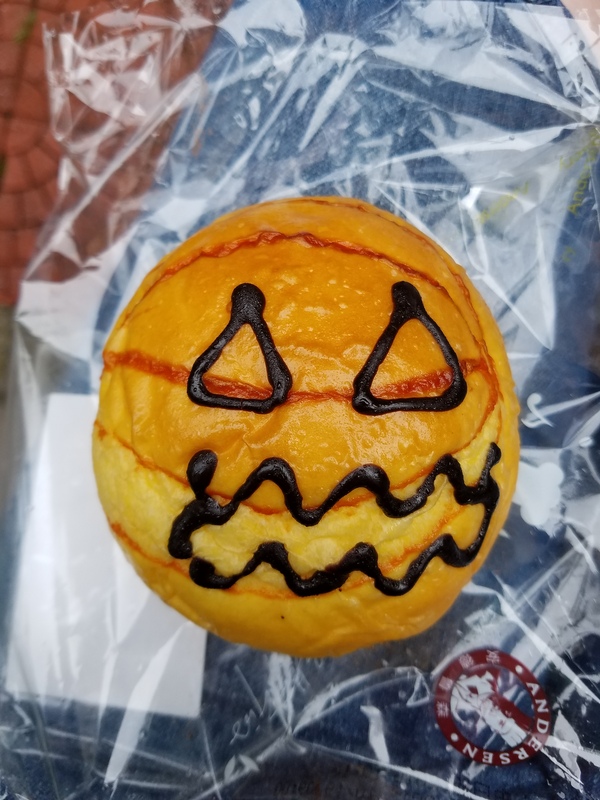 …I’m sitting on my bed writing this, quite contented with the fact that I didn’t have to put any effort into getting dinner and that I only had to pay about 5 USD for a chicken sandwich, French fries, and a drink. This past weekend, the students all moved in with their host families, which made me super jealous and nostalgic. I miss my NSLI-Y host family so much! It’s just not fair! But one of the other chaperons here (they’re all Chinese except me) is only about 3 years older than I am, so we’ve decided that she is now my own personal “homestay sister”. It was also a little weird at first not having all the students eat breakfast and dinner with us or live in the dorms with us anymore. There was this kind of empty feeling knowing that the rooms around mine would soon be filled with strangers, that I would no longer hear singing and guitar playing coming from next door, that nobody would be knocking on my door at 9pm asking about the next day’s schedule or something of the sort. But it’s not like I never see them anymore; I still help run e-portfolio sessions (where the students discuss cultural differences, ask questions, etc… but please don’t ask me why it’s called “e-portfolio” because nobody actually knows haha) in the mornings, and I hang around in the afternoons for their cultural classes and tutoring sessions, as well as to see them all off around 5 when their host parents come to pick them up. On Sunday, the students had the whole day with their host families, which meant I had the day off. The teacher I’m rooming with (Yang Laoshi) and I both got to sleep in, which was great, and then we went and had some noodles together for brunch. 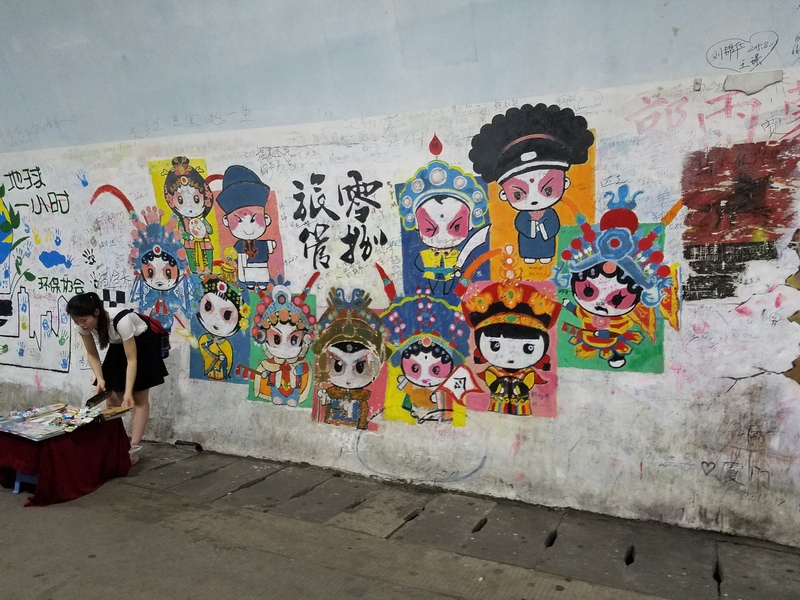 We then took a more-than-two-hour bus ride out to the Xiang’an District (which is actually not that far, but the public bus is extra slow because it has to make so many stops…) Luckily it was only 2 kuai, or about 30 American cents. Yang Laoshi got off a little before I did, since she is moving back to China after teaching in the US for three years, and she is currently looking for an apartment. 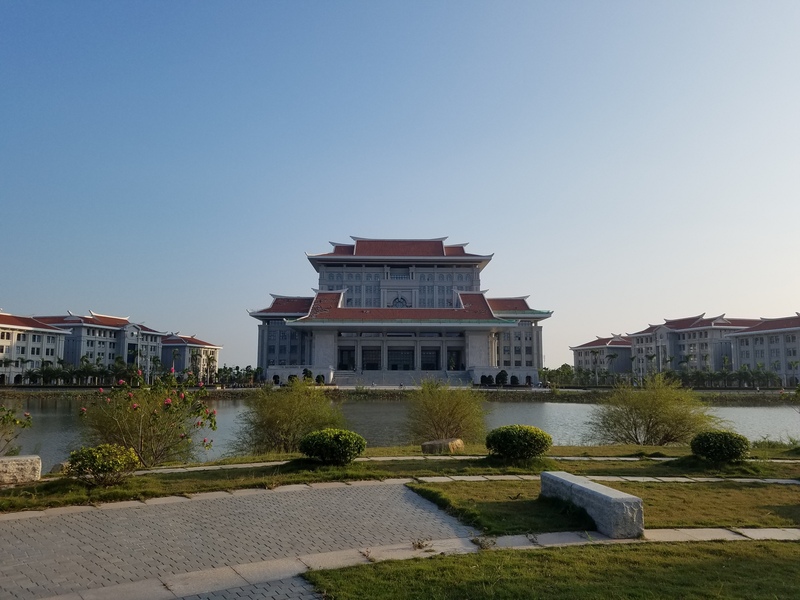 Meanwhile, I went on to the end of the bus route: Xiamen University’s Xiang’an Campus (翔安校区), where I will be studying for a year starting in September. 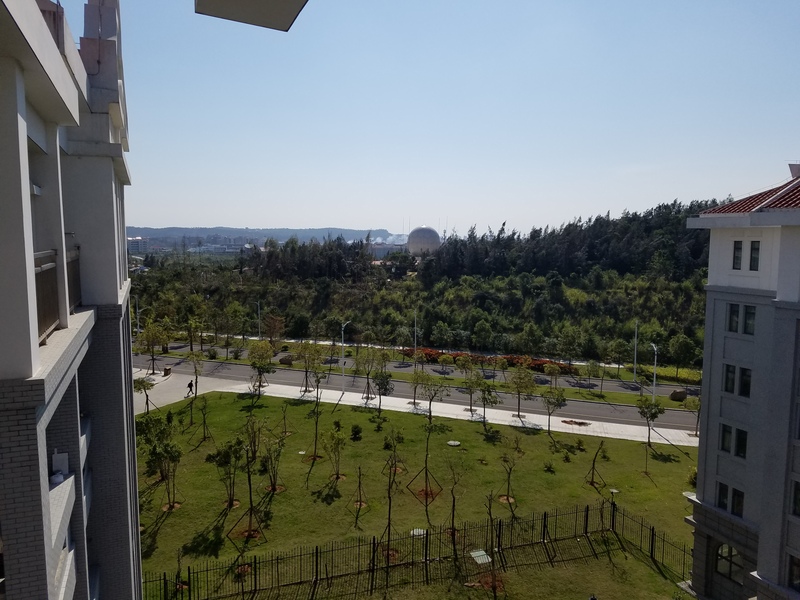 Xiang’an is pretty far out from the city center, with not many people, very few big shady trees, and little to do – It will for sure be an excellent place to focus on studying, lol. Even so, I really liked the campus! It’s huge and very pretty, and it’s also only a few years old, so the facilities are really nice. As I walked and looked at all the buildings, it seemed to me that most of the departments that are based on that campus are science-related, such as oceanography and various types of engineering. 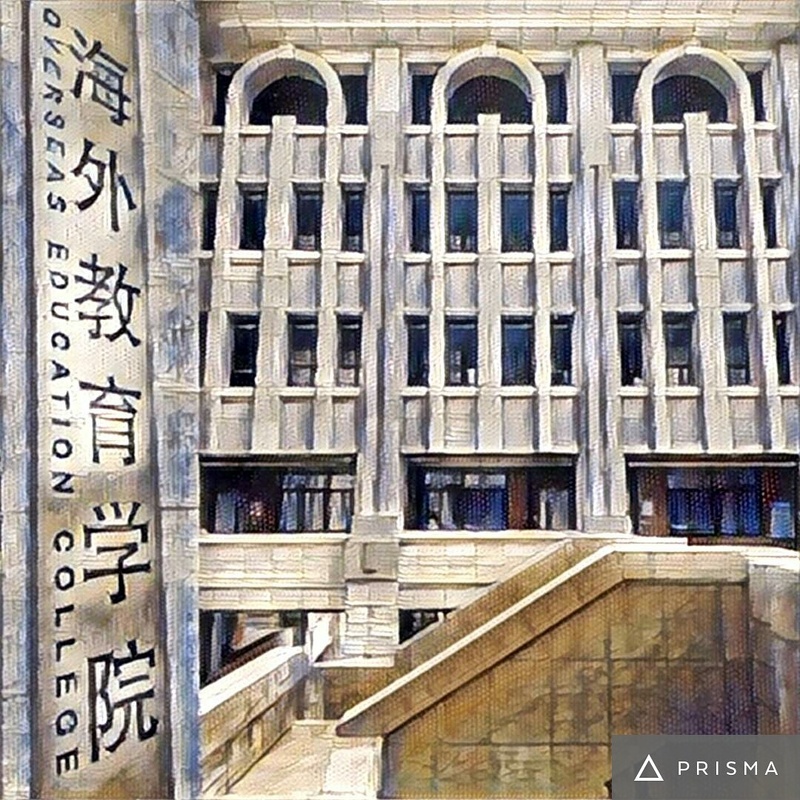 So I’m still not too sure about why they decided to move the Overseas Education department, which is all the Chinese classes for foreigners, out there instead of leaving it on the main campus (where I am now) with the humanities-based departments. The locals I talk to don’t get it either – Whenever I mention to someone that I’ll be going to Xiang’an to study in September, but that I’m a Chinese major, they usually exclaim something to the effect of, “But the Chinese department is on THIS campus!” But it’s not like there’s a rule that says humanities majors and “hard sciences” majors can’t be friends, so I’m sure everything will be great! Finally, before I go get ready for bed, I guess it’s interesting to mention that I’ve become the group’s default interpreter. Guest speakers don’t speak English? I’m there. Culture interest group volunteers don’t speak English? I’m also there. Museum tour guides don’t speak English? I’m there, too. Some days are better than others, but fortunately I always have help, usually from my “homestay sister”. The presentations that included a lot of obscure jargon, such as the one about the guqin (a traditional Chinese stringed instrument) and traditional Chinese painting, were REALLY difficult; the Chinese educational system went all right (a lot of it was pre-translated by a volunteer, so that helped); and Chinese chess was pretty smooth. Today we went to the university’s Museum of Anthropology, where two of the students from the advanced class and I worked together to translate the guides’ explanations for the group. 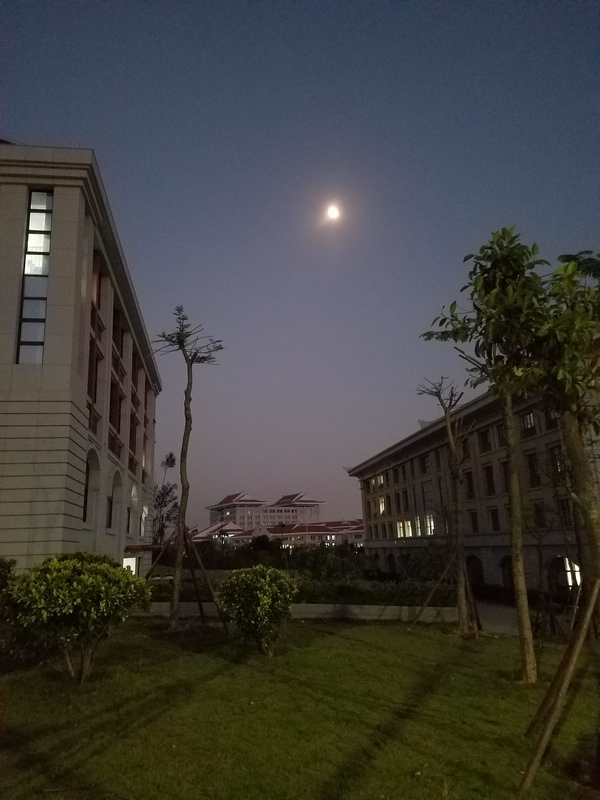 Sometimes I feel like I’m not doing a very good job, but the students tell me they enjoy my translations, so I guess it’s going ok.
We’ve now been here in China for about two weeks. Everything has fallen into a rhythm. 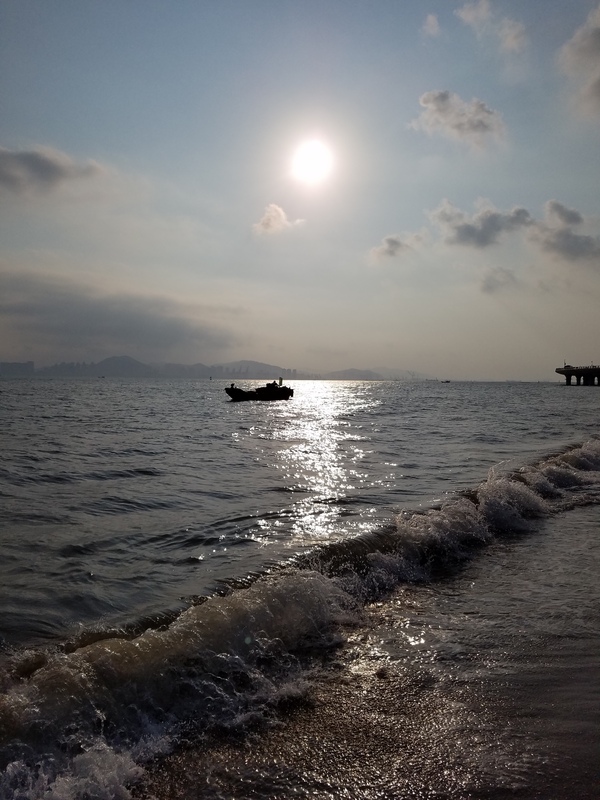 But sometimes it’s weird how normal everything feels to me, even though I’ve never been to Xiamen before. It’s not that I’m not excited to be here, but even when we first landed, I mean, except for having just spent 14 hours on a plane, it felt almost as if I had landed somewhere else in the United States. 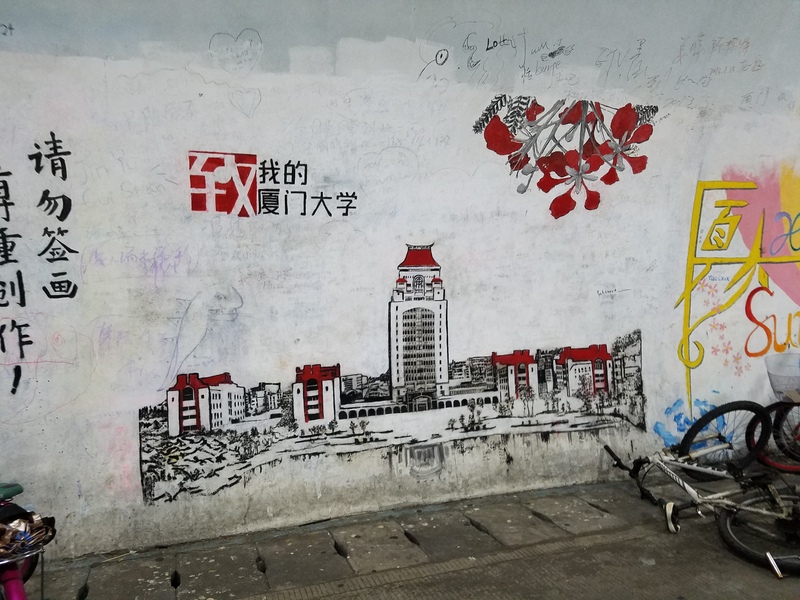 There’s not much left in China that’s new or surprising to me, and it’s sometimes a little nostalgic for me when the students are so in awe of things I hardly notice anymore. In a way, it’s definitely nice to feel so well-adjusted in a foreign country (and it’s certainly been a privilege to have so many opportunities to become well-adjusted! ), but on the other hand, I sometimes wish I could still have those feelings of amazement that I used to have. In any case, we’ve done a lot in the two weeks we’ve been here. We visited a local high school – Xiamen Foreign Language School, where the NSLI-Yers were able to meet some Chinese high school students and show off some of their talents in a short performance. 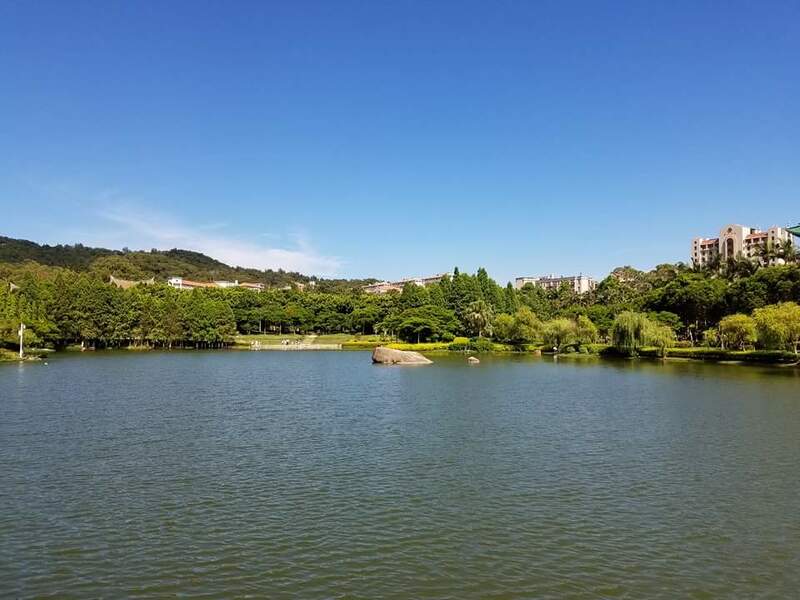 We also spent a day visiting the nearby town of Quanzhou (泉州). 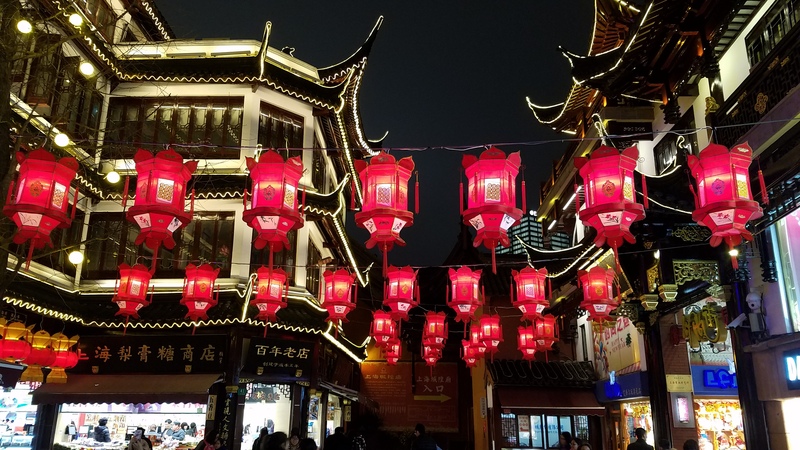 It’s a relatively small city (by Chinese standards, anyway), but it has a lot of historical significance – it used to be a prosperous port city on the ancient Maritime Silk Road. I thought it was really interesting that Quanzhou was able to maintain its prosperity and avoid war for about 1000 years by paying off potential invaders. This only ended when a military commander named Zheng Chenggong led his troops on a retreat south from Nanjing and brought war with them. But because of Quanzhou’s centuries of being a hub for international trade, there was also a lot of cultural exchange. Western merchants brought their religions and languages to Quanzhou, and many of them even settled down in the city, married local people, and started families, creating an ethnic group unique to the Quanzhou area. 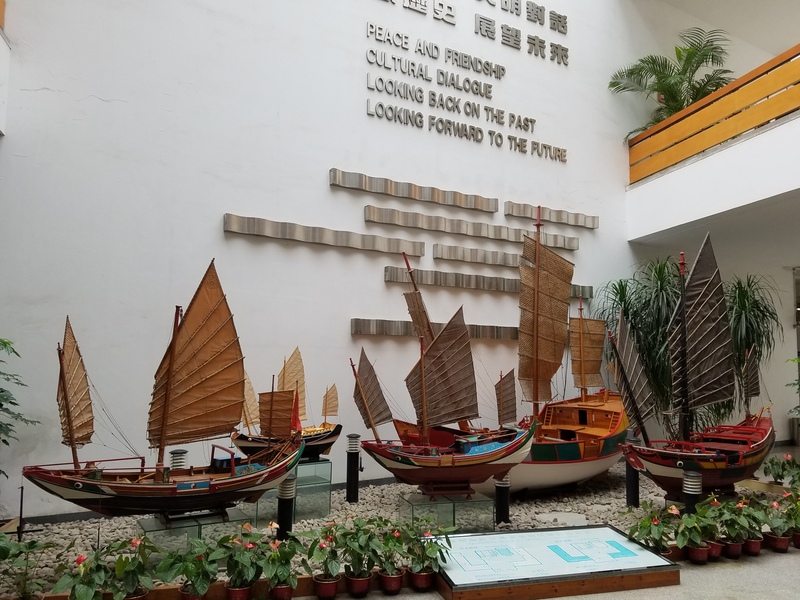 In Quanzhou, we first visited the Maritime Museum (pictured above), which chronicles much of the cultural exchange from the Maritime Silk Road, as well as China’s more general boat-related history, from the earliest riverboats to the voyages of Zheng He. 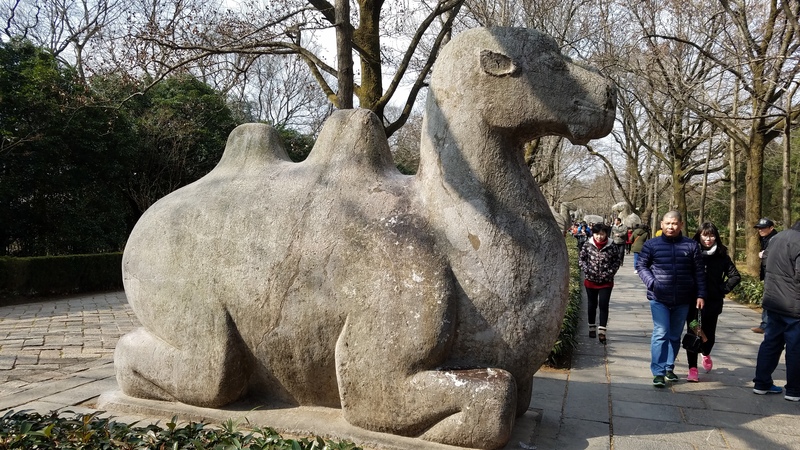 The museum also housed an Islamic Culture Exhibit, all about the Arab and Persian merchants and their cultures that came to Quanzhou via the Maritime Silk Road. Next, we visited the Qingjing Mosque (photo below), which is the oldest Arab-style mosque in China. In other news, there’s also some cool stuff on campus. As it turns out, there’s a small family of cats that lives between my dorm and the dining hall, so I see them just about every day, and sometimes we bring them food. 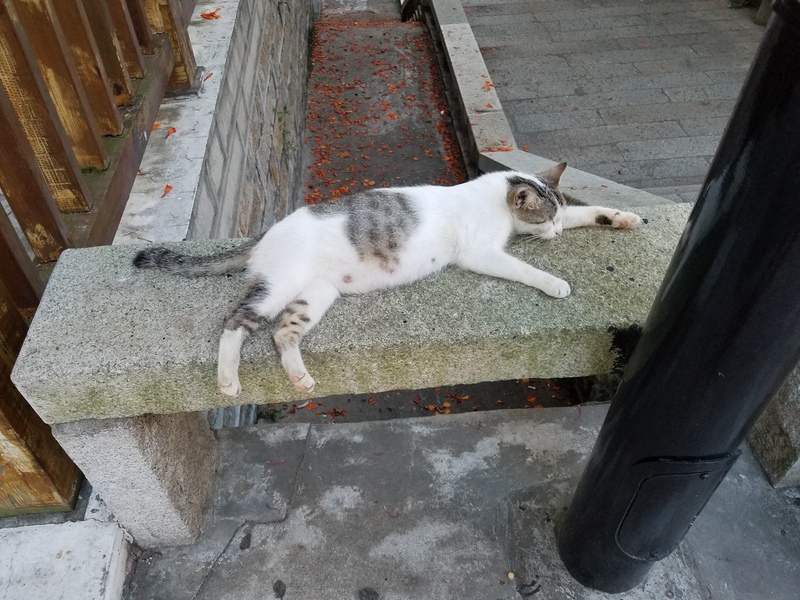 One of the cats is pregnant and looks like she might have her kittens soon. Everyone is excited and is hoping she might have the kittens before we leave Xiamen. 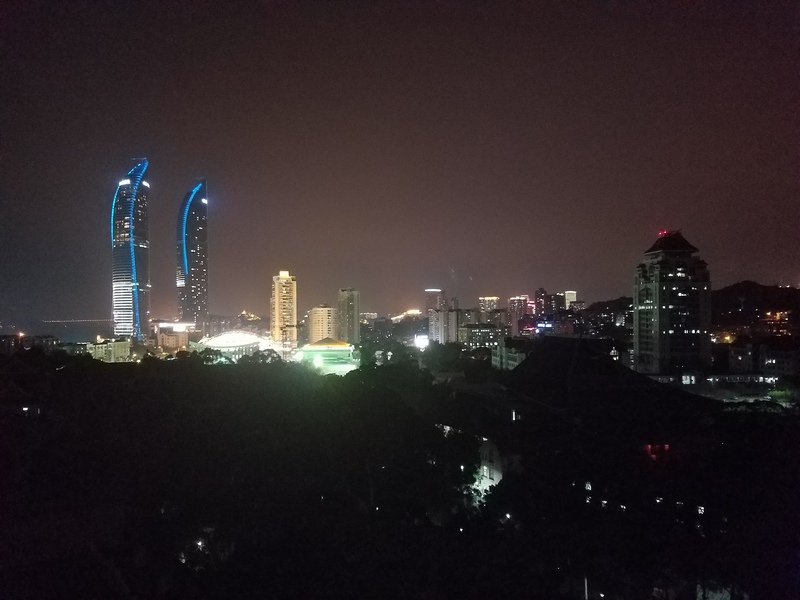 After pulling through a few fiascoes, we made it to Xiamen 3 days ago. Upon our arrival in Shanghai, we discovered that due to bad weather around the country, a massive number of flights, including our connecting flight to Xiamen, had been cancelled. But finally, after waiting in a long line of angry travelers, the program director and head chaperon got us a flight for the next day, and we promptly booked a hotel and a bus to get us there. When we finally arrived in Xiamen, we were met by a few of the teachers and chaperons who were already here. 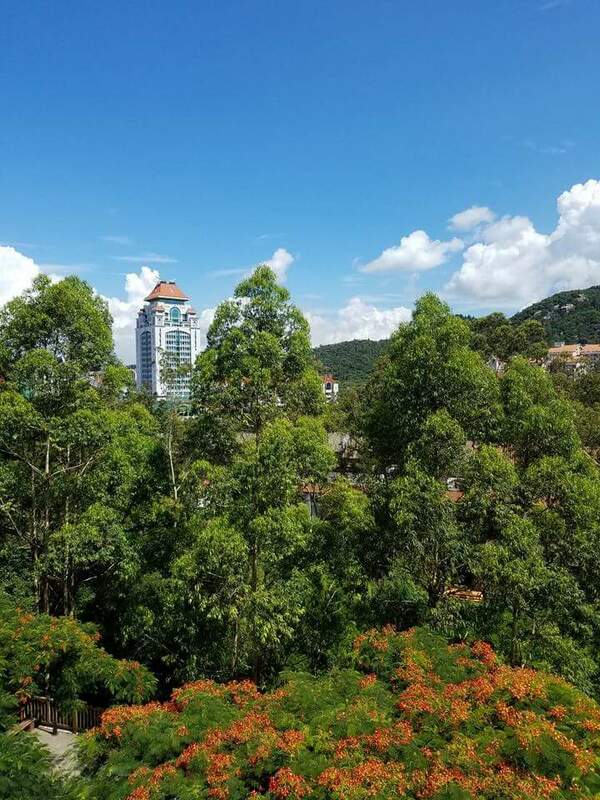 Even though we were all exhausted, everyone was pretty excited to see some of Xiamen’s scenery on the bus ride to the school: blue sky, an abundance of green plants, huge buildings, and the ocean. They brought us to the building where we would be staying, which is kind of part dorm, part hotel. 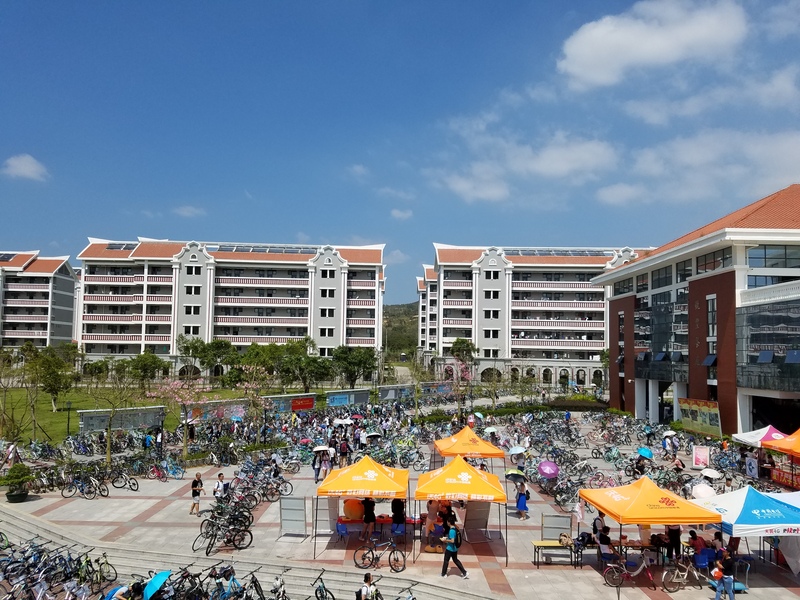 Lunch was provided for everyone in their room, and then, after some rest, many of the students went to the next building over to play card and board games with student volunteers from the university. Then the next day was the Fourth of July, so, in celebration, we spent the day sightseeing. 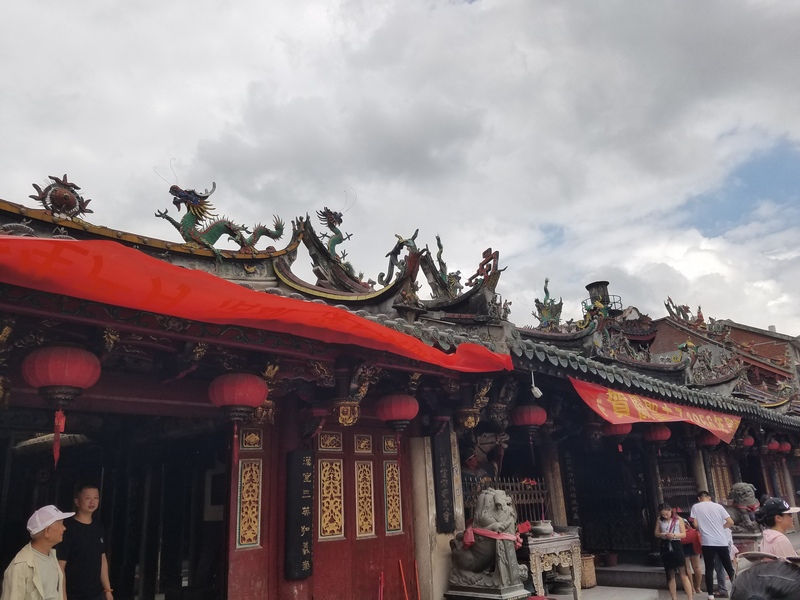 We visited South Putuo Temple, Huli Shan Fortress, the Jimei School Village, and Jiageng Park (the last two being the home area of Tan Kah Kee, the founder of Xiamen University). 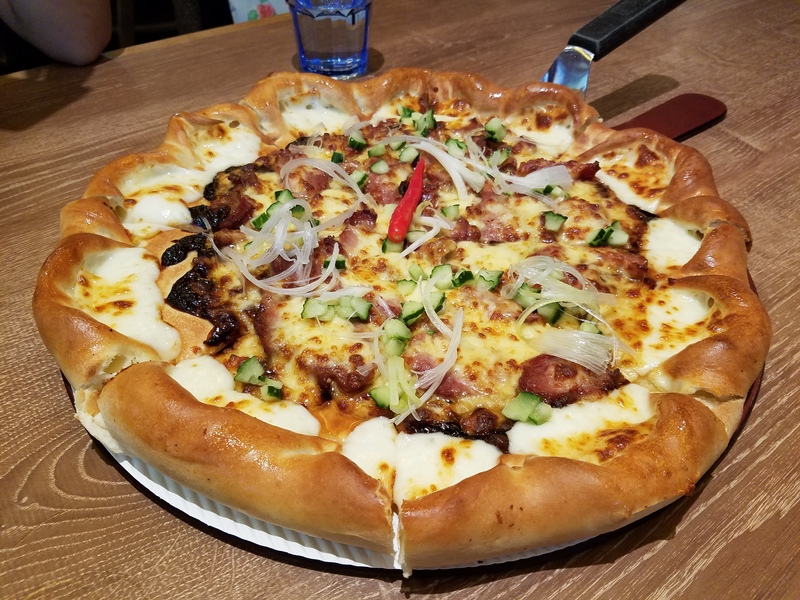 We also had lunch and dinner out at restaurants – For lunch, we had ordered a lot of food such as shrimp, fried noodles, chicken, soup, and taro, and we ate family style at big round tables. For dinner, we went to a huge seafood buffet at a fancy hotel. I was too tired to eat much, but they had a wide variety of fish, meat, vegetables, fruits, and desserts, and everything I did eat tasted great. Finally, yesterday we began a more-or-less normal schedule. We had a short welcome ceremony and on-site orientation, and the students began attending their language classes and the program director’s culture class. During one of the blocks while they were in class, I went for a short walk around the campus. It was really hot and I didn’t really know where I was going, so I didn’t stay out long; I somehow found my way around the lake on campus and ended up back where I started. Everything was so beautiful, and I know I haven’t even seen everything yet. And while I was walking, I met an international student from Sudan who is studying here for his Master’s in finance. So that was pretty cool. As an alumna, being a NSLI-Y chaperon is all kinds of crazy. Not in a bad way, just in the sense that as a participant, you don’t always notice everything that goes on behind the scenes – you have only yourself to be concerned about, and so as long as your own personal needs are met and you’re participating actively, you kind of have no reason or even chance to catch a glimpse of how program staff – whether it be a resident director or liaisons or a team of chaperons – make it all run. As a chaperon, some of the tasks I have performed so far include riding the hotel shuttle to and from the airport to pick up students as they arrived, ordering more Domino’s pizza than I ever expected to order in my life, chatting with/presenting to the students about my experiences as a NSLI-Y alum, doing room checks at night, and helping to write a post for the official blog. I’ve also been designated as the keeper of the passports and all our flight info. So I guess you could say I’ve had a pretty eventful time so far, and we haven’t even left the US yet! Speaking of leaving the US, I’m going to stop here for now because it’s already more than half past midnight and I have volunteered to take the first group of kids to the airport at the inhuman hour of 6:50 tomorrow morning. Unless I spring for the wifi on the plane, I may not post again until we arrive in China. Wish me luck! 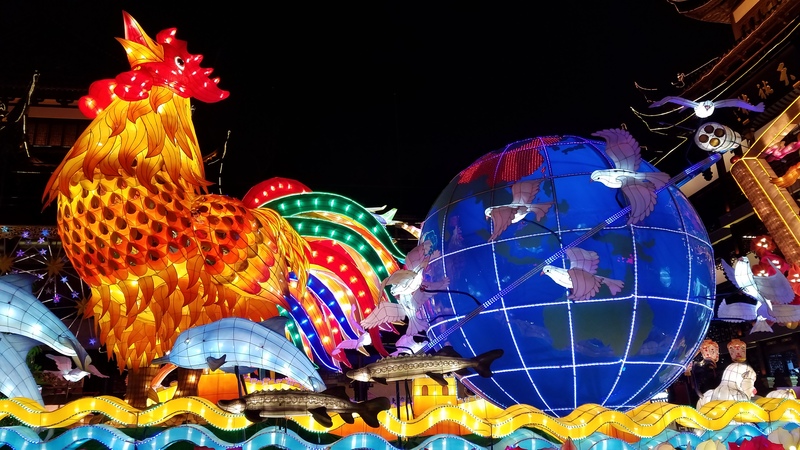 I’m going to China… again! I will be embarking on a second NSLI-Y journey, but this time, I will be serving as a chaperon* rather than participating as a student. This is a very exciting opportunity for me as an alumna – I’ve never really had the means to be an alumni representative or give many presentations about my NSLI-Y experience, so I’m glad to have this chance to remain involved in the NSLI-Y program and community. 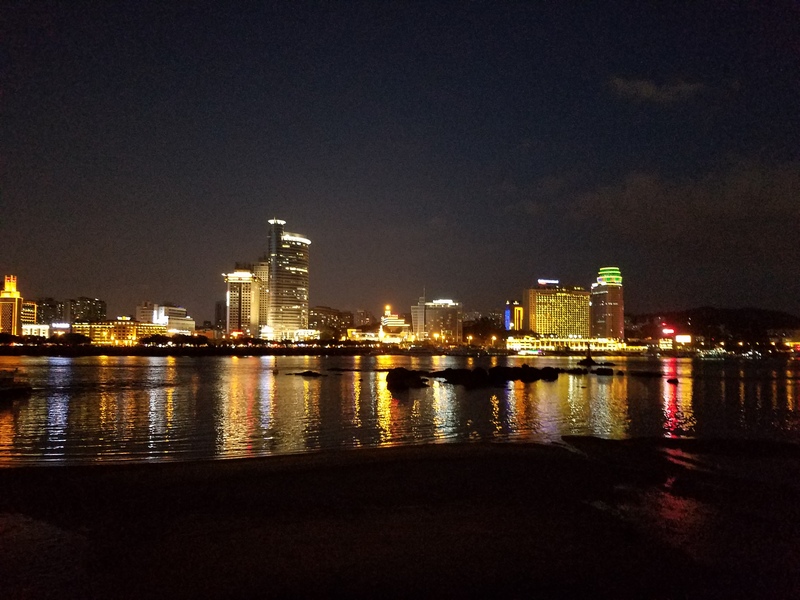 In just a few short weeks, my group and I will be on our way to Xiamen (厦门), a port city in China’s southern Fujian Province, just across the strait from Taiwan. 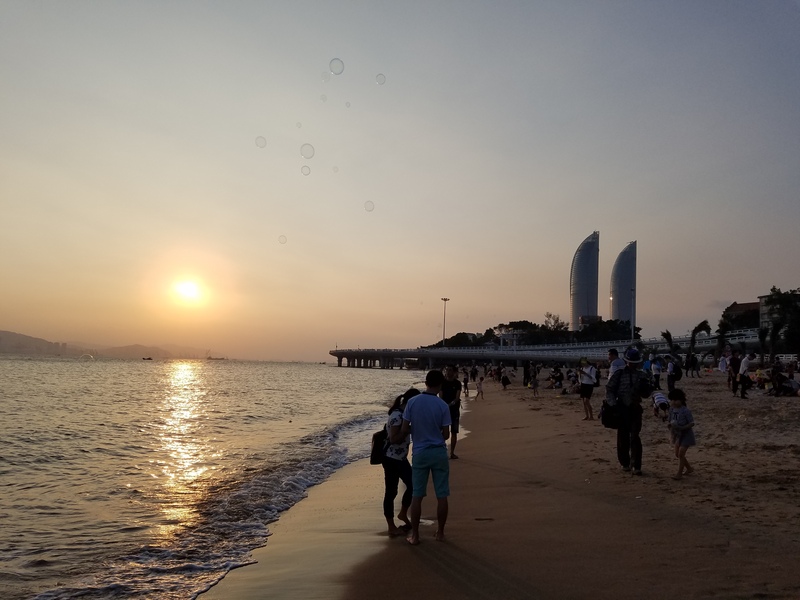 This will be my first time ever visiting Xiamen, and although I love all the other places I’ve visited, I’m excited to experience a new city this time! (Being in Xiamen specifically will be especially great because I’m applying to spend the next academic year there! Unfortunately, there’s still no official word on that, but I’m hoping to know pretty soon.) After five weeks living at Xiamen University, we will also spend one week travelling in Beijing and Shanghai. I’m looking forward to this, as well, since I haven’t been to Beijing since 2011, and since I absolutely love Shanghai. In preparation for the program, I have been making an effort to study some Chinese and keep my level up. I’ve also begun trying to get a head start on learning the names of all the students in the group – I’m pretty bad at names, so I figure getting familiar with them now will help me match them with faces more quickly at pre-departure orientation (PDO), which begins on June 29. I’m really excited to actually meet all of these students and go on this adventure together! *Please note that my having this position does not mean that I had/have any hand in reading applications, making acceptance decisions, implementer/city/class placement, or anything else super-official. In fact, I haven’t been involved in a whole lot of anything so far; most of what’s in my job description begins at PDO. Additionally, because this is a personal and public blog, I won’t be posting too much detailed “behind the scenes” information, and I also won’t be answering any official-type, non-alumni-oriented questions on here. 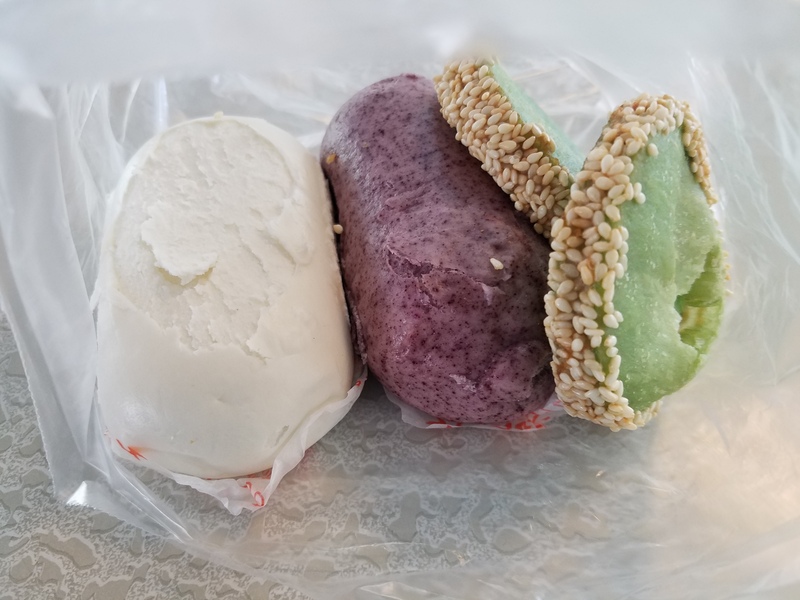 I love keeping this blog and want to maintain it to share my experiences, but I also understand that it is important for me to uphold some level of professionalism. So, if you have a question that is not one that you would ask of an alum, please do not ask it here. When in doubt, please contact your/your student’s implementing organization directly (if you are a NSLI-Y participant or parent), or head on over to the NSLI-Y website for more information about who you can contact. Thank you! But I find Tumblr to be more friendly to large amounts of pictures, plus I’ve already posted all of the pictures there that I would post here. So here are links for you so that you can see my pictures and I can be a little bit lazy. Just click the words to go to a photo set! I hope you like them! Thanks for following!